“Stop right there” he replied in a strong Slovenian accent, turning his gaze towards me for the first time. He laughed, and so did I, nervously. I’m not sure what you’re supposed to do when someone points a gun directly at you without noticing, but I’m glad he found my reaction amusing, I just wanted him to know I was there after my near silent arrival by bicycle. I was not particularly comfortable looking down the barrel of his gun. The border police inspected the weapon confirming it was not loaded and let him drive back into his country. And what a country it is. 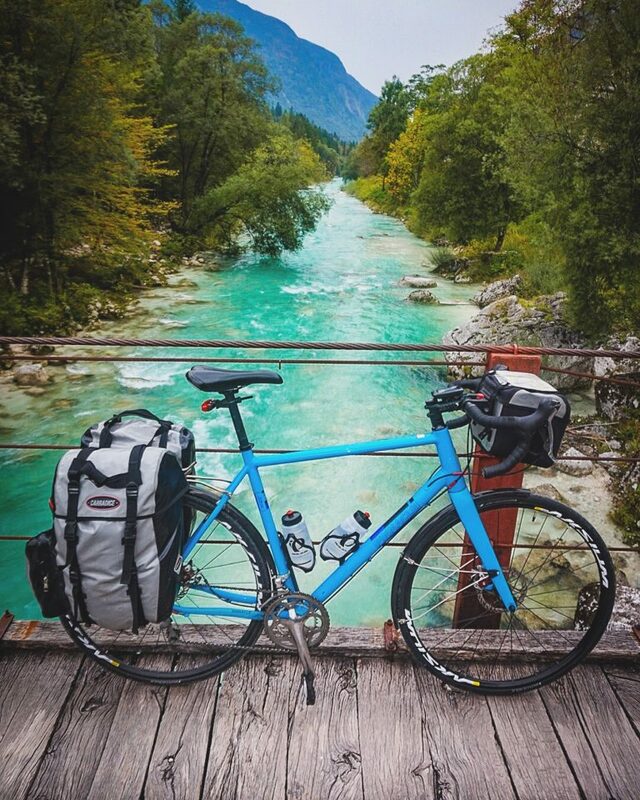 Cycling from Croatia through, Montenegro, Bosnia, Slovenia, Austria and Italy; western Slovenia and the Julian alps would be an unexpected highlight. I’d visited Slovenia briefly before, but I don’t remember it looking anything like this. 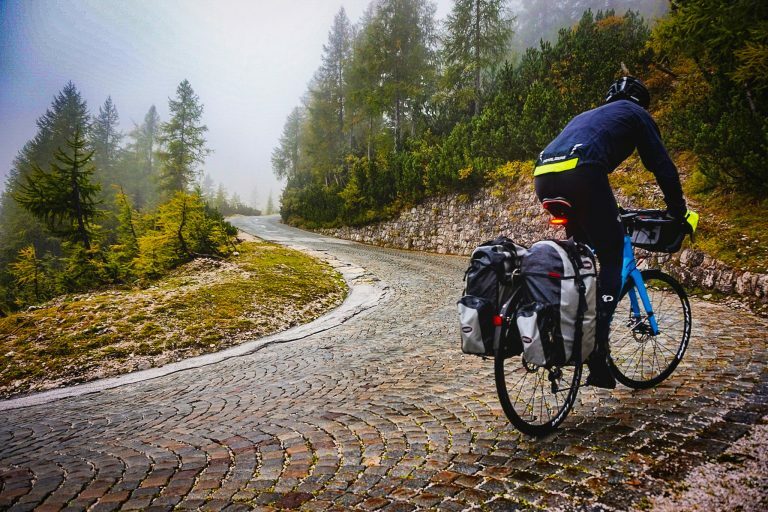 My plan was to cycle the highest road pass in the Julian alps, the Vrsic pass, before heading into Austria and the Dolomites in Italy. As I entered into Slovenia on the 203 (D32) from Croatia I already felt like I had some altitude, so was hoping for a steady descent for most of the day into Slovenia. Through agriculture and onwards to the mountains again I kept stopping to take photos. Always catching glimpses of some picture-perfect scene and cycling back to capture it. The colours, the valleys, the rivers buildings and rustic bridges would all draw me in and hinder my progress as I headed north. Some great descents though steep valleys and tight hairpins, being chased by lorries down the winding roads. I stopped for the night in Jasbec at a hotel and restaurant, needing a good meal before taking on the Vrsic pass tomorrow. The hotel owner was clearly into two wheels, his garage where I stored my bike, was packed with bikes and motorbike kit. “Which way are you heading?” he said. “I’m heading north, to Austria today, over the highest pass.” I replied. The weather was forecast for thunder storms, and all I could think of was whether cycling into the clouds of a thunder and lightening storm was a good idea or not? I couldn’t remember reading anything about this. But the rubber tyres would insulate me wouldn’t they? I’m not exactly covered by anything like a faraday cage so… erm I still don’t know the answer. I opted to just get over the summit before they were due to arrive. So up and out early was the best I could do. The start of the pass was about 30 miles from where I’d stayed last night and the road followed a stunning turquoise river along the valley to climb. I was impatient to get over the pass before the storm, but couldn’t help but stop and admire the incredible views. It was late September, so autumn colours were showing in the trees and the recent bad weather had snow capped some of the surrounding peaks. The climb finally started with a sign stating 14% for the next 9km, and another sign marking hairpin number 50! There can’t be 50 hairpins I thought, as I knew this wasn’t a really high pass (1612m altitude, climbing from ~600m at the base of the climb) and 14% is steep for this kind of climb. I was out of the saddle as soon as it started, my pannier bags weighing me down and the effort keeping me warm as the rain started, heavy and unrelenting. The Vrsic pass is not about altitude, there are higher passes. 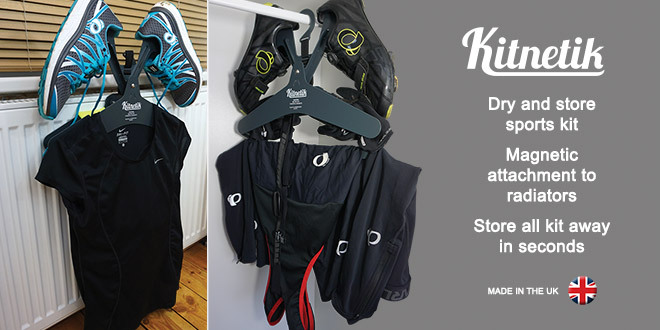 It’s not about cycling legend, as it’s not featured in any grand tour cycling races. In the driving rain, late in September as I try to summit before the thunder storm. With patches of snow laying as low as 1500m altitude, amongst the tree lined roads, it feels wild up here. It’s steep for a pass of this length, a real challenge fully loaded and it feels remote. It’s freezing cold as I stop for a few photos near the summit. The occasional glimpse of other peaks between breaks in the cloud. 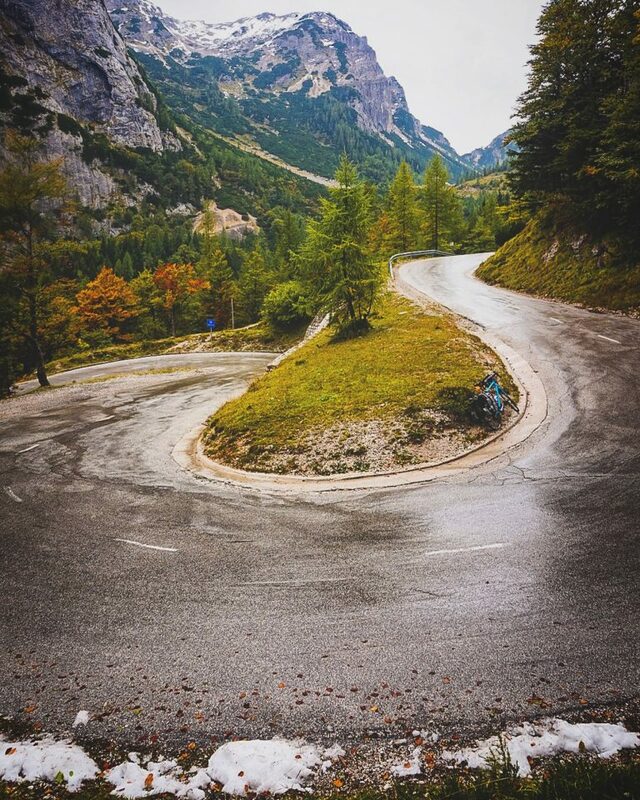 The Vrsic pass stands out as one of my favourite cycling passes. OK, so it’s not the highest, or the steepest but there is something about this mountain pass that really charmed me. Relatively steep with cobbles on the hairpin bends the descent was a real workout for my brakes on a loaded touring bike. So it’s not the most satisfying full speed descent, but the sense of adventure I felt (perhaps because of the impending thunderstorm) on this quiet mountain road was something I’ve not felt on more “legendary” mountain passes. It’s a hidden gem; beautiful, wild, challenging, a little cobbled and with a touch of snow it was everything I hoped it would be. Slovenia, you were unexpectedly the highlight of my entire trip. I can’t wait to come back. 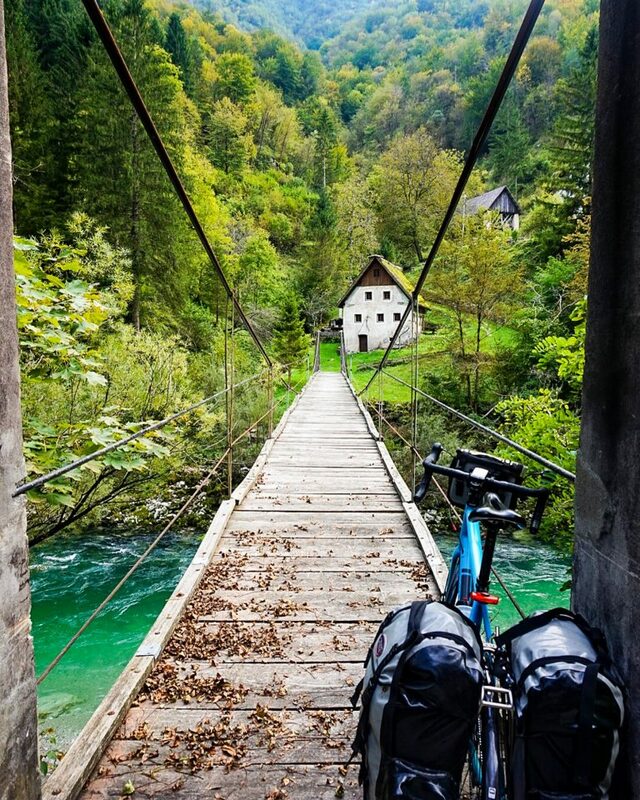 If you’re tempted to explore Slovenia by bike and looking to rent a bike over there I recommend using the Bimbimbikes website to book your rental before you arrive. Stunning. I’d love some recommended routes if you have them as this part of the world is on my list. I’m always fascinated that so many cyclists only ride the famous climbs when there’s so much more beauty out there. The famous climbs of the Tour de France are probably the least special climbs I’ve ridden. Perfect thanks for the route, super helpful.